Grounds for Sculpture is by far one of the best wedding venues in NJ. Centrally located in Hamilton, GFS is one of the most beautiful venues. It has beautiful sculptures, peacocks, beautiful grounds, and amazing landscaping. It's just perfect for any type of wedding. 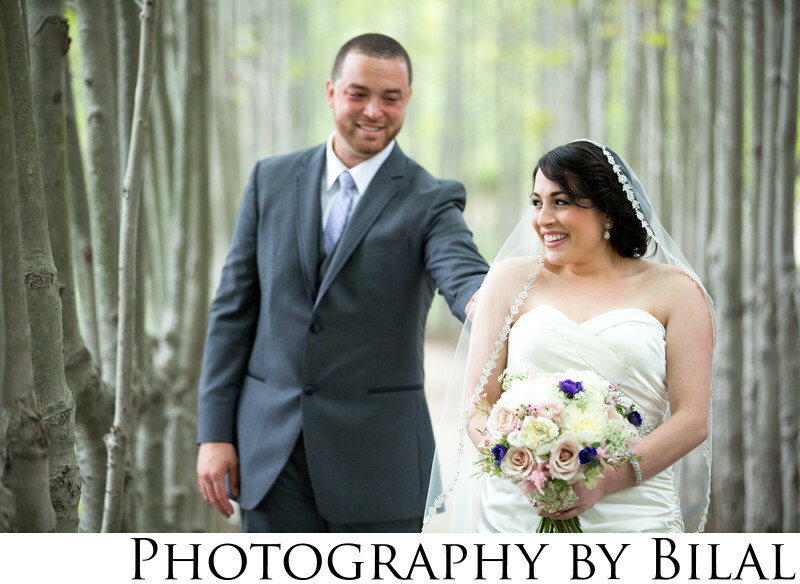 This particular image was shot in the tree lined path during the couple's first look. I love how happy the bride looks as the groom is tapping her on the shoulder. This was the exact moment before they saw each other for the first time on the wedding day.